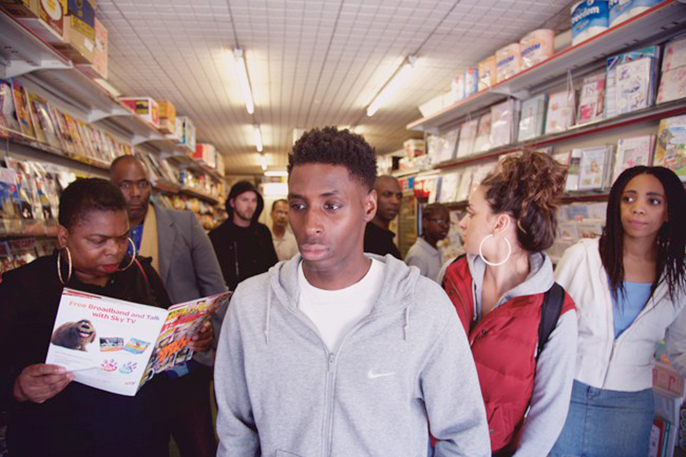 Set during the early noughties, good dog chronicles growing up in a multicultural community, and the everyday injustices that drive people to take back control. Because even the most patient among us can’t wait forever. Delicately observed and fearlessly told by the star of Crazyhead, Eastenders and Youngers, Arinzé Kene (read interview) returns to writing for theatre for the first time since God’s Property (read review) in 2013. Writing credits include Misty (Bush Theatre); God’s Property (Soho Theatre); Little Baby Jesus (read review) and Estate Walls (read interview) (Oval House Theatre) and screen feature films Seekers and Cure; contributor on television series Youngers and Eastenders/E20. tiata fahodzi (tee-ah-ta fa-hoon-zi) – is a theatre company for Britain today and the Britain of tomorrow. Our mission is to make world class theatre that illuminates the mixed and multiple experience of the African diaspora in Britain today. Our work starts with the contemporary British African experience but reaches beyond to ask us all, what does it mean to be a contemporary Briton, now? Past productions include bricks and pieces, i know all the secrets in my world and belong.